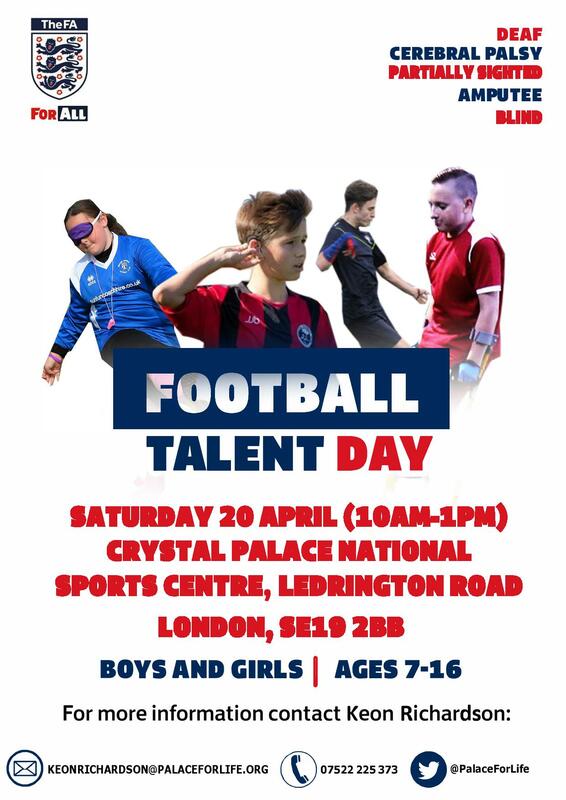 We are running a Para Football Talent Day with Surrey Football Association that is open to young people who are blind or visually impaired and interested in football on Saturday 20 April at the Crystal Palace National Sports Centre. 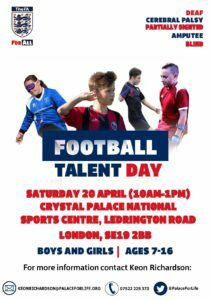 Players will be signposted to either a grassroots team, impairment specific team or the FA Emerging Talent Programme with the aim of joining one of the England Impairment Specific National Football Teams. We are happy to announce our next Student Network event – this time introducing Mindfulness as a method to deal with the stress that exam and deadline season brings. The introductory session will be run by Uz Afzal, a Mindfulness Practitioner, who will guide us through some exercises and then advice us on how to integrate it into our lives and use it to decrease stress and increase happiness! If you would like to attend, or if you have any questions at all, please reply to this email or give Molly a call on 07956 386 726. We can arrange assistance from Euston Station – if you would like a guide please let us know by Wednesday 17th April. Please also let us know if you have any dietary requirements, as food will be provided. Click here for the information sheet with full details. Join us for a Picture Description Tour of our Sohlberg Exhibition. Delivered by our trained guides the tour will guide will focus on three key painting from the exhibition. Our guides will provide an audio description of each piece followed by an overview of the exhibition and themes. Participants will be invited to stay in the Gallery for the Community Preview which runs from 2.30pm-4.30pm and includes craft and art activities, storytelling and refreshments.